Want to start a blog? Now you can get guidance every step of the way. - You’ve been thinking about creating a blog, but you don’t know where to start. - You’re unsure which niche to pick. - You find the technical stuff a bit complicated. Well that’s OK because we're here to help you. Together, we’re going to create your own successful blog. You'll learn how to blog. 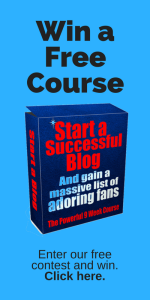 14 days after finishing this course you’ll have a blog filled with your words. And you’ll be attracting visitors to it. And if it doesn’t happen, you can have your money back. No questions asked. It’s a complete package. And it’s available only here. But places are limited because we can only support 6 new bloggers at any one time. Why blogging can change your life. You’ve probably heard of the stunning success of many bloggers. and many others who are earning between £114,000 ($150,000) and £456,000 ($600,000) every month. Who wouldn’t want to have that kind of money? But blogs come in all shapes and sizes too. Who can forget the powerful impact of 9-year old Martha Payne’s ‘Never Seconds’ blog criticizing school conditions and raising money for impoverished school children in Malawi at the same time? Her blogs gained more than eight million readers in four months. And they have raised over £145,000 for meals for impoverished school children in 16 countries. Your blog can make a difference in the world around you. That is the beauty of blogging; its popularity gives it immense power. Remember the saying: 'the pen is mightier than the sword'? Well blogs can be the equivalent of a nuclear explosion. You can be an agent for positive change on a massive scale. You can see for yourself the power of your own words, your own blog. Blogs are powerful business tools even for the small home business. Whether you want more people to know about your line of homemade Christmas cards, garden pots or your pet sitting business, blogging is the best way to let people know about your product or service. Successful blogs also enable people to move into additional fields such as lucrative speaking engagements. Or maybe you just want to let your family and friends around the world know how your DIY renovation of the house is progressing? You might just find yourself accepting a lucrative agreement with a local building materials supplier eager to make the most of your growing list of followers? The list of reasons and objectives for blogging is endless. Yes, blogging is making the world a better place. Isn’t it time you were part of that revolution? Can you see yourself sharing your views, experiences, knowledge and insights and making a change for good? Imagine the pleasure, joy, and power of finding your own personal voice. Yes, it’s time to draw your sword and to say what needs to be said. Maybe you are one of the few who don’t want to have financial success and freedom. Maybe the ideas of sharing your voice and experiences or of making changes for good in your community don’t appeal. Blogs can be used to share special knowledge or skills and are a great way to share your hobbies or passions. Whatever your interests there is a world of like-minded enthusiasts out there looking for the solutions to difficult problems or simply wanting to enjoy sharing those interests. Blogging is a great confidence booster. Even the most timid and shy person can find their own personal voice through blogging. The relative anonymity of online blogging allows you to express your thoughts in your own way. You get to have your say without fear of interruption. Writing your own blog develops your creativity. As you think about and create your blogs through regular writing practice you explore new ways of saying things. In your blog you can take risks that you might not take in your everyday verbal communications. Blogging can teach you the power and value of words. You can try out different personas and play various roles and you will find that your personal life and your relationships are richer for it. Writing blogs is good for the brain. Researching your next blog article will help you develop your thought processes and increase your knowledge. Exploring the pros and cons of your topic will encourage you to probe the reasons for your beliefs and expose the strengths and weaknesses in your arguments. The writing process will strengthen those left-right brain connections, increase your vocabulary and clarify your thinking. Blogging can give you freedom. With blogging success comes financial freedom. Blogging can give you the independence to choose when and where you work. Imagine saying ‘goodbye’ to your boss forever. You are the boss; you write in your time. It dDevelops discipline. As with any worthwhile pursuit in life you get out what you put in and with blogging you do need to invest time—your time. With the freedom comes the responsibility, the responsibility to use your time wisely. Blogging can teach you new skills. Not only will blogging help improve your writing skills but you will gain new technical computer skills as well. You don’t have to be a computer nerd but you can choose to learn about good SEO practices, formatting, and html coding and so much more. These techniques are not essential to blogging success but they can help. Blogging allows you to help others. Blogging is a great way to focus attention on important issues facing your local or global community. Imagine your satisfaction and sense of achievement as you see how your writing helps to alleviate the sufferings of others. So many good things have happened in the world through the power of words, the power of blogs. You too can be a part of that beneficial influence; you also can wield the power of words. Blogging doesn’t have to cost you anything, and you can earn a lot of money. Writing about your world can be the seed bed for your personal growth, your financial independence, and a way to help others. At the very least, blogging is an amazing hobby that costs you nothing, will provide endless hours of pleasure, and can be shared with friends and family. Even if you treat blogging as a hobby it’s still clearly one of the best hobbies around. The Award is further evidence of your knowledge of blogging. It could help you win more clients. To learn more about upgrading, contact us by phone or email. Actually there are no reasons, none what so ever to stop you writing your own blog. Your blog is your creation, your baby but maybe you need some help to get started. Perhaps you have wanted to write a blog for a long time but have kept putting it off. You are not alone. Many talk about writing a blog but not so many actually get beyond the talk. Yes, these are valid excuses but how valid are they when you can have an expert beside you to get you started? Just imagine if you could have the help and advice of vastly experienced blogging experts to get you over these hurdles, to spark the creation and fan the flames of your own very successful personal blog. If you could have such expert help for two weeks what a difference it could make to the success of your blog. Fortunately, the Blackford Centre’s course is all you need to get started on an amazing journey of personal discovery. You too can enjoy the benefits of financial freedom and independence. Now is the time to start your blog--you owe it to yourself and to those who will benefit from your words. We are so confident in the ability of this course to kick-start your successful blog that if you haven’t started your blog within 14 days of course completion we will give your money back. Now, you have no more excuses to put of becoming a successful blogger. Questions, doubts and fears will always arise when we take a new direction in life. Transformation inevitably involves something new and there will always be a little uncertainty associated with that. Here at the Blackford Centre we understand those questions and fears that may have prevented you from writing a blog in the past—we have faced them ourselves. That’s why our extraordinary course will answer every question and settle every doubt you have (and some you hadn’t thought about as well). The course has been designed and written by blogging experts who can answer all your questions thanks to their vast experience gained through their own very successful blogging platforms. This 9 week course is intense because it is packed with all the tools you need to start your own powerful blog. Right from day 1 we explore how to craft your writing, creating those crucial headlines, and learning to make your blog absolutely necessary reading for your fans. We explore those all important topics such as choosing what to write about, how to get feedback from your visitors, and how to make money from your blog and so much more. And remember our money back guarantee; if you haven’t started your blog within 14 days of course completion we will refund your course fees. How can you lose? With an extraordinary course written by blogging experts and a money-back guarantee your success as a blogger is absolutely assured. Sometimes our fears really stand in the way of our evolution and prevent us from achieving the best things in life. We understand, we have been there and that’s why we created this course. Look again at what this course offers you and you will see that we answer all your questions and we will take you all the way to starting your own successful blog. We have made it so easy for you. This is just the beginning. Our course offers you so much more. We even show you how you get an expert to do all the technical stuff really cheaply. Perhaps you feel that you don’t have the time to spend on writing a blog. Yet, you have read this far so the idea of blogging is important to you, more important than you possibly yet realize. Deep down you know this is something than can revolutionize your life and the way you do business. The reality is blogging doesn’t have to consume lots of your time. Did you know that on average most successful bloggers spend between one and two hours writing a blog? That’s all. You don’t need to be a slave to your blog. One of the beauties of blogging is that it can be done anywhere, anytime. Indeed, many bloggers write stunning blogs while commuting to work or waiting for appointments. In fact, most bloggers find that the creative nature of blogging far from being a chore brings real pleasure and intense satisfaction. Some bloggers write in the early hours of the morning or late at night when they find a time of very special quiet and solitude that awakens new channels of energy and leaves them refreshed and rejuvenated for the day ahead. 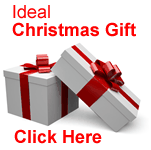 The course is delivered online allowing you to study as and when you choose. As you complete each module you are presented with a writing task. 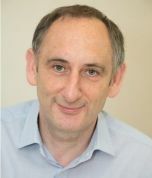 Here at the Blackford Centre we have taken the combined experience of some of the best expert bloggers and distilled their tricks and techniques into this one information-rich course. We know you want to focus on the essentials, the key elements of great blogging because you don’t have the time to wade through the non-essentials. That’s one of the great things about this course; we give you what you want, what you need to become a truly successful blogger and achieve your dreams. We also pass on some of those lesser known tools to make your blogs really stand out from the crowd. 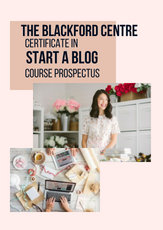 The course from the Blackford Centre is designed to help you explore the artistic, creative side of your nature and to give you the skills to write truly stunning blogs every time. But even more, becoming a successful blogger will open new doors for you and reveal new horizons to explore. Who knows, as your name and fame spreads it is quite possible that additional benefits such as published books in your name, TV appearances, and regular engagements on the lucrative speaking circuit will become a part of your life? Fulfil that dream. Learn how to take the richly rewarding skill of blogging to new heights. Experience the liberating thrill of sharing your voice, helping others, and changing society. Never underestimate the power your words may have for positive change across the globe. Take charge of events around you, see your business flourish, be a catalyst for a better world, or become the story teller of your family’s history. The power, the words to do all these things are within you. But the list of benefits doesn’t end there. Learning new skills is always a tremendous confidence booster. Plus, running a successful blog is a great addition to your C.V.—it shows you have real pluck, great communication skills, and the ability to grow and develop. These skills are much sought after by employers. As you write you will see the world in new ways, you will explore new concepts, and you will grow in knowledge. This course will challenge you to become a better person. Take the challenge now and write a new page in your life. Come and see for yourself. Come and join the course at the Blackford Centre. The Blackford Centre has been running highly regarded professional training courses for more than twenty years. Our experience, our expert tutors and course writers ensure that you receive only the best most effective training for your money. Our online courses give you the freedom to study anywhere in the world and in your own time. There are no classes to attend because it’s all online. This means you are in control of your learning. The Blackford Centre is accredited and registered with the UK Register of Learning Providers (UK Provider Reference Number 10009490). Land Rover, Royal Mail, Jaguar, Marks and Spencer, RAF, Selfridges, Easyjet, Unilever, HM Revenue and Customs, Medway Council and many others. Our lengthy and growing list of satisfied customers is your guarantee of a deeply satisfying and richly rewarding course. Although there is no diploma associated with this course it is put together with the same care and attention that goes into all our courses. We care about your success and we back up our words with a cast-iron money-back guarantee; if you have not started your blog within 14 days of course completion we will refund your course fees. Just picture yourself as a successful blogger; the joy of playing a part in shaping events in the wider community, of helping others, and of making a difference. See your social media followers grow exponentially and relish your own personal and business growth at the same time. This is the opportunity you have been waiting for. This is the chance to take a new direction in your life, to say what needs to be said. Enrol in the “Launch your successful blog” course from the Blackford Centre and let your voice be heard.